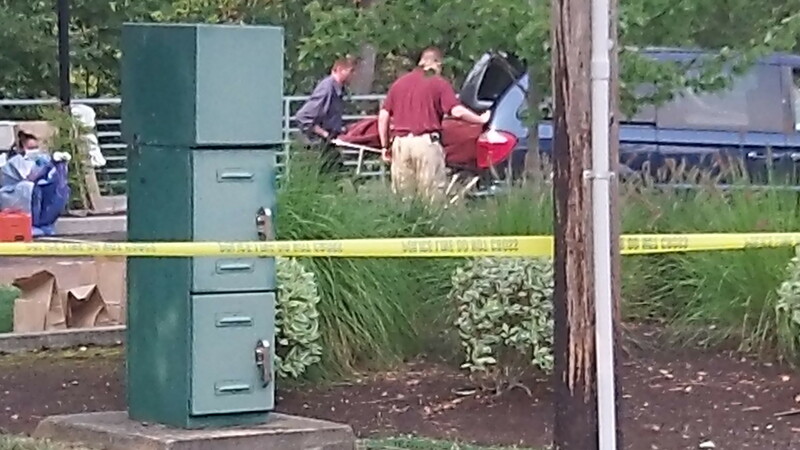 The body is loaded into a vehicle as investigators are still at the scene Monday afternoon. The last thing users of Albany’s Dave Clark riverside path should expect is death and decay. But then again, maybe we should not be all that surprised when someone finds exactly that. 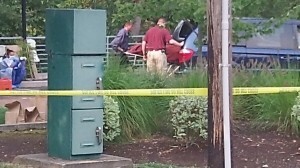 On my ride Monday afternoon, I came across the scene just as a body was being removed. Police and medical investigators, some in rubber gloves and clad head to toe in protective gear, were about to wrap up their grim task. 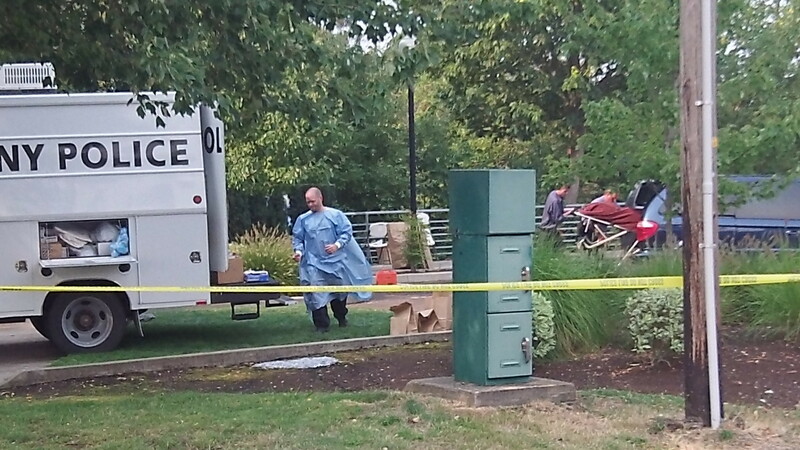 The body was tightly wrapped in some kind of bag as the gurney bearing it was slid into the back of a van. The officers on the scene said they were not ready to tell me anything more than they had already told the newspaper, which was that someone had reported a bad odor about mid-day, and this led to the discovery of the dead person down the embankment from the concrete path. At last report the body had not been identified, and the police spokesman did not know if in life it had been a man or a woman. As far as I can tell, these fellow citizens are not doing any harm. When a cyclist comes along, they step aside. Sometimes they offer a greeting, and I respond, the way you do when you pass people on a narrow path. They all look like they lead a hard life, whether by choice or because of a cruel fate I cannot tell. But they don’t complain. Who would listen if they did? Now and then, I pass a prone figure lying off the path, in the weeds, perhaps, or under a tree. Somebody is taking a nap, I figure, or sleeping it off. But I cannot tell whether the person lying there has passed out or passed on. I get the answer the next day when the figure is no longer there. UPDATE: Police told the Albany Democrat-Herald Tuesday the body was that of an adult woman, but her identity was still unknown and so was the cause of death, according to the paper.